Regency Towers was one of the first high-rise residential buildings in the area. 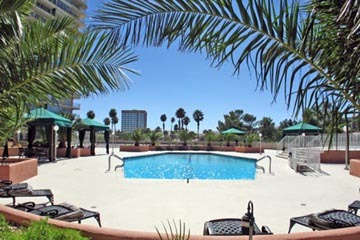 It has 218 individually owned luxury condominiums, with sizes ranging from studios to seven spacious penthouse units. 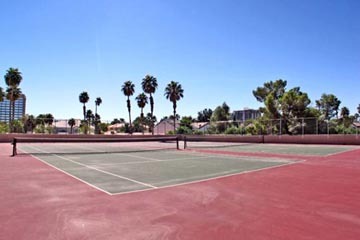 Most units provide an incredible view of the strip or the landmark Sunrise Mountain. The Regency was completed in 1974. 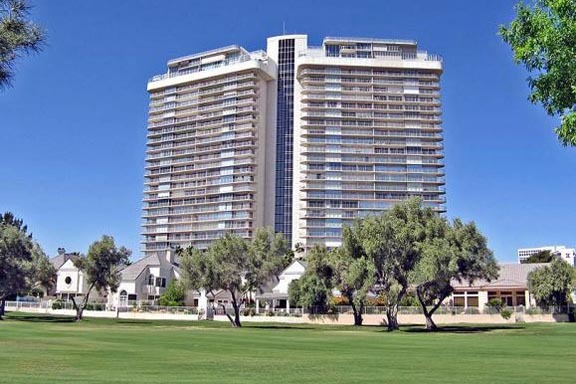 It is strategically located on the grounds of the Las Vegas International Country Club. It is also conveniently located in the heart of the city, within minutes of the resort and entertainment areas, as well as, shopping, business, medical, and transportation facilities. The privacy and security they afford is evident as you arrive at the guarded gate of the completely walled country club grounds. In addition, Regency has twenty-four hour on-site security, closed circuit cameras located throughout the building, and internal electronic systems, completing the ultimate in personal safety.